Elisabeth Young-Bruehl, Hannah Arendt: For Love of the World, Yale University Press 1982. Katkin-Maier Daniel, Hannah Arendt, Martin Heidegger, Friendship and Forgiveness. W.W. Norton & Company 2010. Julia Kristeva. Hannah Arendt. Trans. Ross Guberman. Columbia University Press. 2001. Bonnie Honig (editor). Feminist Interpretations of Hannah Arendt. Pennsylvania State University Press. 1995. 383pp. Craig Calhoun; John McGowan (editor). Hannah Arendt and the Meaning of Politics. University of Minnesota Press. 1997. Jerome Kohn; Larry May (editor). Hannah Arendt: Twenty Years Later. MIT Press. 1997. Villa, Dana, Arendt and Heidegger: the Fate of the Political, Princeton University Press 1995. Villa, Dana, Politics, Philosophy, Terror: Essays on the Thought of Hannah Arendt 1999. Seyla Benhabib. The Reluctant Modernism of Hannah Arendt. Rowan and Littlefield Publishers. 2003. Richard J. Bernstein. Hannah Arendt and the Jewish Question. MIT Press. 1996. 251pp. Margaret Canovan. Hannah Arendt: A Reinterpretation of Her Political Thought. Cambridge University Press. 1994. Hanna Fenichel Pitkin. The Attack of the Blob: Hannah Arendt’s Concept of the Social. University of Chicago Press. 1998. 374pp. Phillip Birger Hansen. 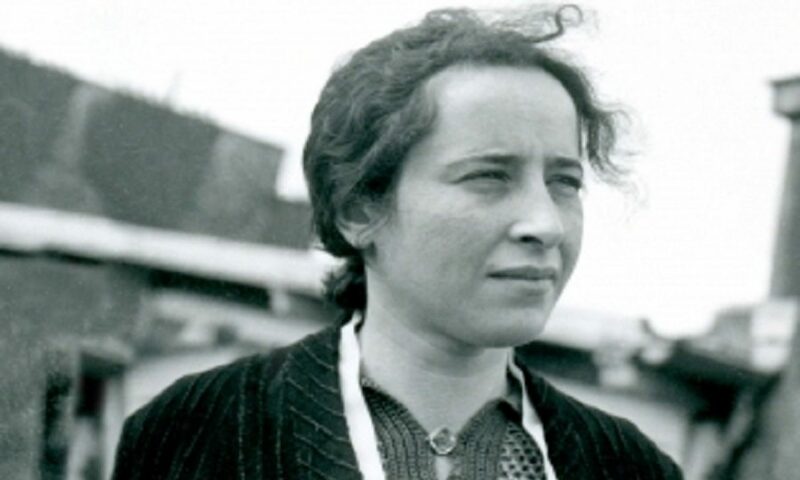 Hannah Arendt: Politics, History and Citizenship. Stanford University Press. 1993. 266pp. Margaret Betz Hull. The Hidden Philosophy of Hannah Arendt. Curzon Press. 2002. Elisabeth Young-Bruehl.Why Arendt matters. Yale University Press, 2006. Bowen-Moore, Patricia, Hannah Arendt’s philosophy of natality. Hampshire, Macmillan, 1989.